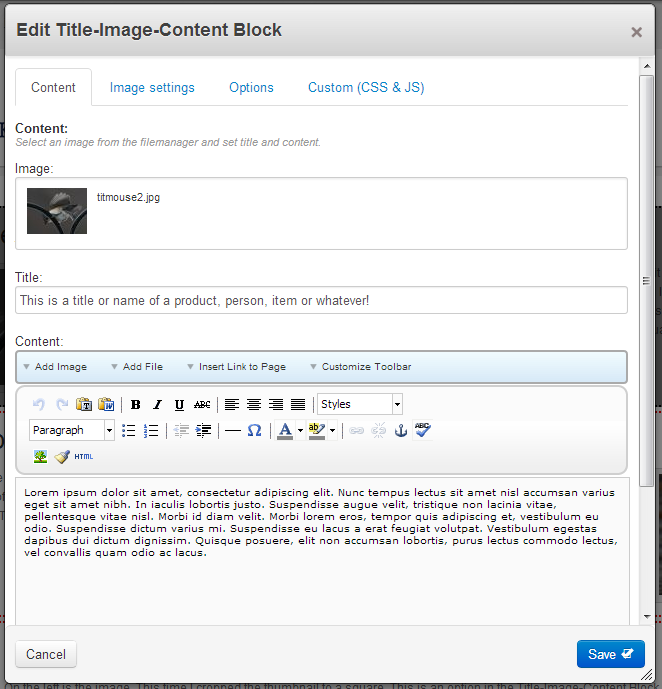 This addon gives you the oppertunity to add a title an image and content in one single block! I called it the Title-Image-Content Block, but doesn't mean it is just for products! You can use it to add staffmembers or newsitems or whatever. 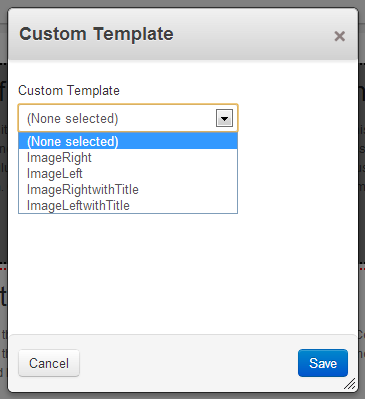 The addons makes you add a title, an image and some content. 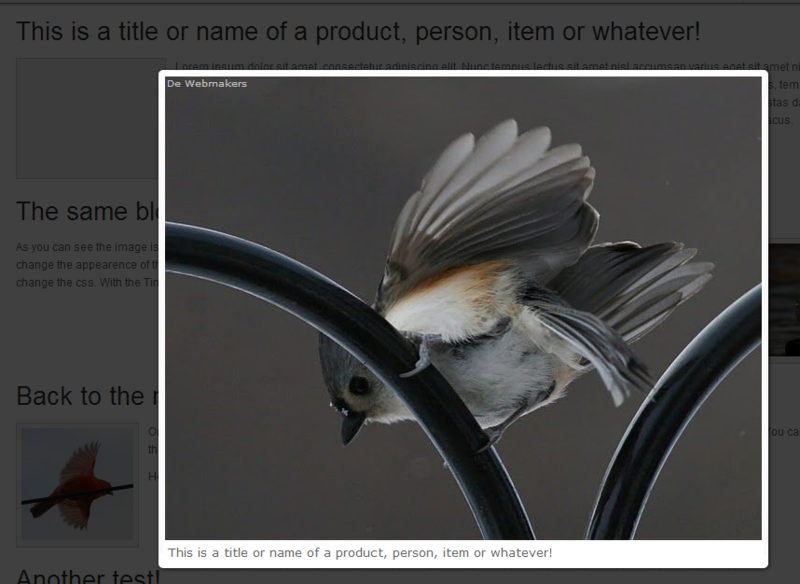 The title is converted to a heading 1, the image is placed at the left side of the content beneath the title. It also generates a enlargement that will open on clicking the thumbnail. 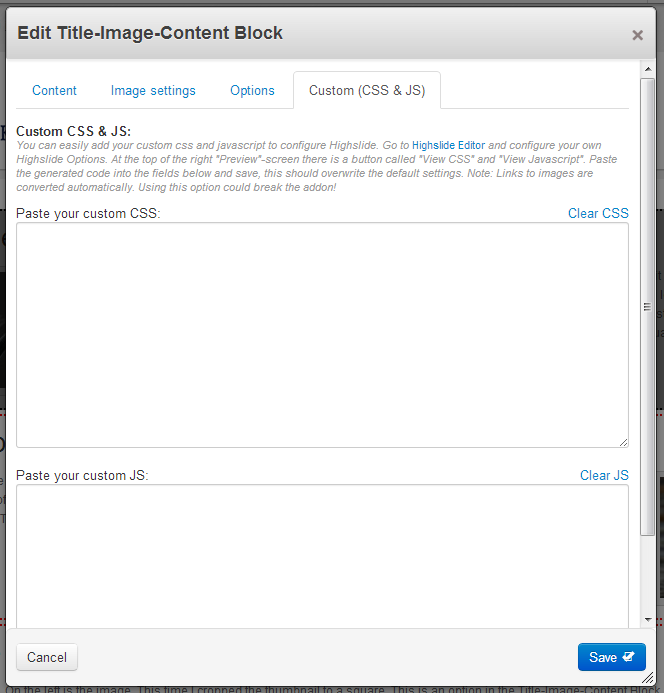 The content (WYSIWYG) is placed next to the image. 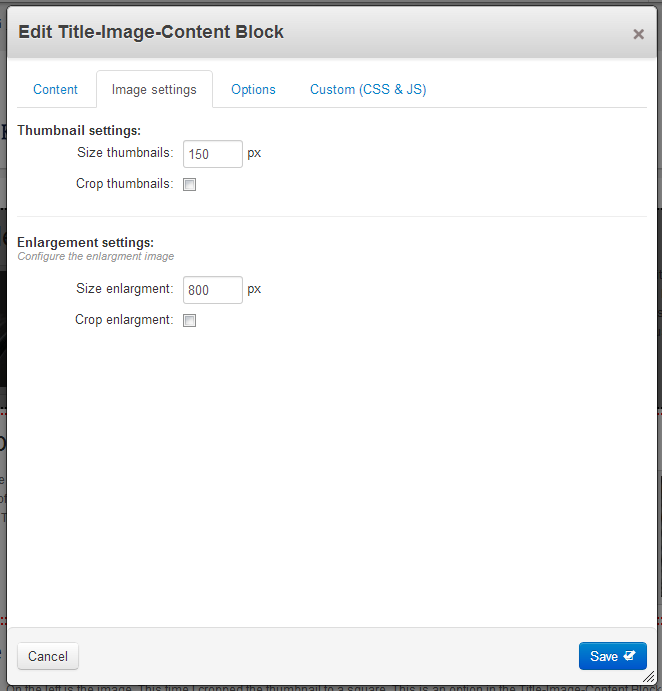 Image selection, size of thumbnail, size of enlargement, crop thumbnail, crop enlargement, some highslide options like credits and dimming background. I already made 2 templates, one which aligns the image to the left of the content and one who aligns it to the right of the content.